Cheryl and I brought our tandem bike with us on our road trip. We took it on a ride through Carlsbad and Oceanside this morning. I read about a bike path up a creek and we headed toward it. The goal was to do about 20 miles. We got to the far side of Oceanside, to where the trail was about to start and we were already passed 9 miles so we headed back. I figured if we started up the trail I would be tempted to keep going and push it too far for Cheryl and perhaps for my knee. The knee felt great but it did feel like caution was needed on the uphills. Pedaling a tandem up a hill can be done two ways. You either apply lots of power with a little bit of downshifting or you use lots of downshifting. The Tandemania is geared so low that we were passed a couple of times on the steep sections by runners…. by runners whom I knew I could out run…. pretty embarrassing….. well, not really so embarrassing. We had fun. 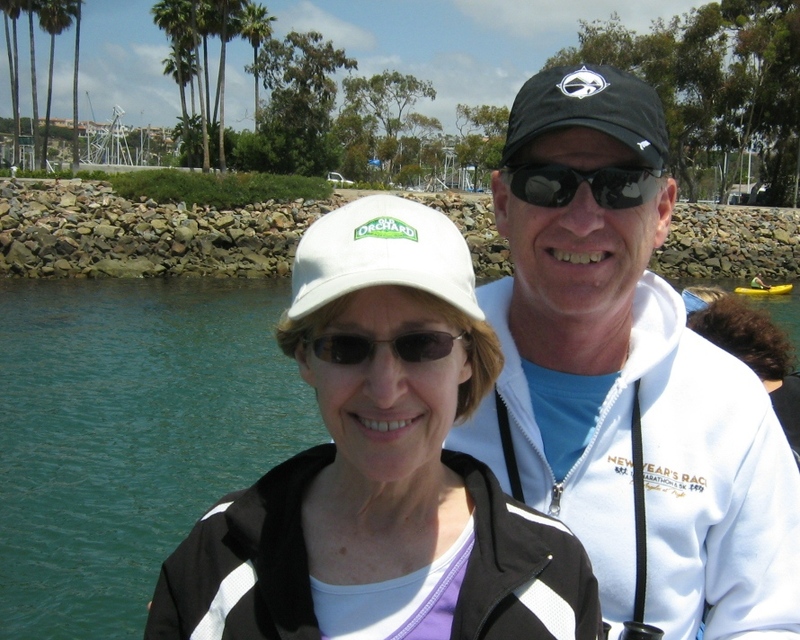 Then we went and used those free whale watching passes Cheryl won! We spotted a mother whale and her calf but could not get close enough for a good view. 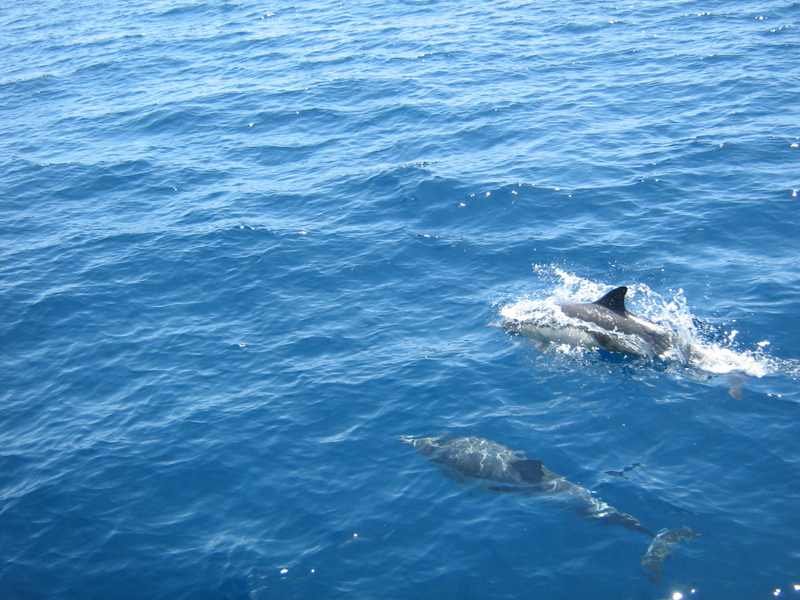 We also came across a HUGE pod of dolphins – probably 200 plus. They are always lots of fun. I have always been amazed at how the actually approach boats. I figure, as smart as they are, that they are probably drafting the ship. They can ride the wake of the ship and get where they are going faster and easier… Of course, they could just being doing it for the fun of it…. God has made some amazing creatures….